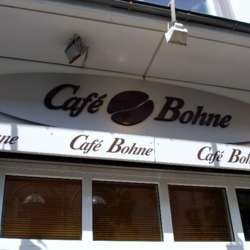 InterNations Frankfurt Event: Mingling at Café Bohne! Come and join us to a cozy atmosphere for a relaxed and casual evening! The cafe is located at the exact same address as the American Sports Bar where you can enjoy the same à la carte dinner and beverages. So come and join us at this friendly venue for a fun evening of meeting internationally minded people from all over the world. This is the best possibility for you to meet new expats and global-minded friends, mingle and have a great evening! If you are new in town or new to InterNations, don’t hesitate to come – you can easily meet other newbies. *Transportation: The Parkhaus Bornheim Saalbau is available (2 mins from the bar) or public transportation: Station Berger Strasse.